Trillium Eye Care is a brand of independent eye care clinics, which focuses on delivering a First-In-Class level of service to patients. Trillium has established state of the art locations in Jacksonville Florida and Toronto Canada. Trillium Eye Care is a brand of independent eye care clinics, which focuses on delivering a First-In-Class level of service to patients. Trillium has established state of the art locations in Toronto Canada and Jacksonville Florida. Our goal is to expand in each of those territories. We provide full scope optometry services to clients, including comprehensive eye exams, diagnosis and treatment of eye related diseases and LASIK consultations. 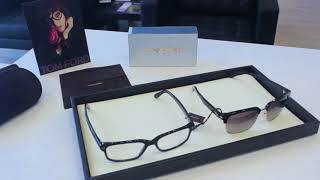 Our offices carry one of the largest selections of high-end designer eye wear. We accept most vision insurances and directly bill to insurance companies for our patients. We offer only the most advanced contact lenses in the market. William Jackman is a member of the board of directors of Trillium Eye Care. William has worked with a range of companies to assist with delivering strategic advice, closing corporate transactions and assisting management teams with executing on mission critical objectives. His experience includes working at some of the largest international law firms in the world structuring corporate transactions. As the Managing Optometrist, she oversees and focuses on each detail to ensure that every aspect of the optometry clinic and optical is optimized to provide a first-in-class patient experience. Because of these values, Trillium Eye Care has developed into is a leading private optometry practice which builds doctor-patient relationships for life.